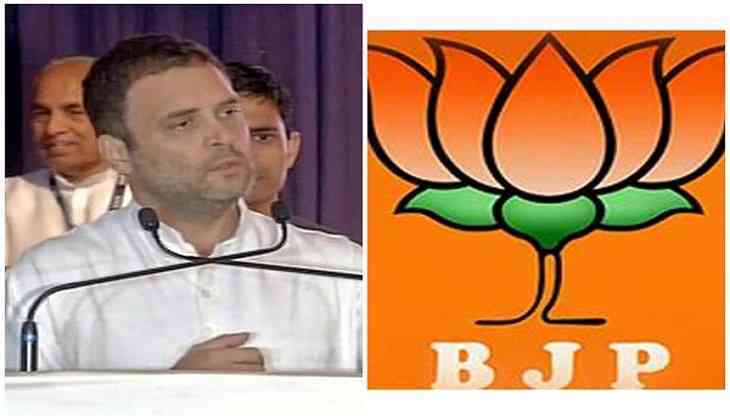 The Bharatiya Janata Party (BJP) on Monday criticized Congress vice president Rahul Gandhi for his remark against Sandeep Dikishit's statement on Army Chief General Bipin Rawat, stating that his comment was inadequate compared to the "sins" committed by the grand old party. "Rahul Gandhi's statement is completely inadequate compared to the extent and the magnitude of sin committed by his own party. There is a clear pattern in the comments emanating from the Congress Party. Sanjay Nirupam questioning surgical strikes, Mani Shankar Aiyar is hobnobbing with separatists, Rahul Gandhi himself made a comment khoon ki dalali, so all this shows a pattern," BJP leader G.V.L. Narasimha Rao told ANI. The BJP leader further said that the Congress Party is guilty of acting in a treacherous manner for its short term political gain. "This is going to result in a massive effect on the Congress Party and the people of India will not put with this anti-national act," he added. Meanwhile, Congress spokesperson Randeep Surjewala, however, alleged that the BJP was trying to divert the country's attention from the farmers' issue by raking up Sadak Ka Gunda (roadside goon) remark. "The BJP should stop converting the agenda of farmers into non issue of this nature and should concentrate on giving a comprehensive relief package to farmers of India who are dying every day," Surjewala told ANI. He said that Congress deeply respects the Army chief and Indian Armed Forces and has advised Sandeep Dikshit to desist from making such comments. "The Indian National Congress has always stood by the demands of Indian army including the last one on which they were agitating for one rank and one pension. We have advised Sandeep Dikshit to desist from making any controversial remarks regarding Army Chief," Surjewala said. Earlier in the day, Rahul chastised the comment made on the Army Chief and insisted that politicians should refrain from making such statements.